As a law firm that has been focused on representing California marijuana businesses for nearly the last two decades, it’s been encouraging to see these areas of study morph from something of a joke to a field of studies that even Ivy League schools are taking very seriously, fully intent on preparing students for a blossoming career field. Northern Michigan University kicked off its four-year degree in medical plant chemistry two years ago after one of the school’s chemists attended a conference wherein cannabis industry representatives spoke of the growing need for more analytical chemists in the field. Individuals in these positions earn upwards of $70,000 a year – just to start. Two years in, the school has 300 students from nearly all 50 states enrolled in its program. A similar career path is offered at a state school in North Dakota. Meanwhile, students attending college in upstate New York in Morrisville can minor in marijuana studies through the school’s horticulture department. Although some students report getting sly grins or wisecracks from peers and even parents, the reality is many area earning four-year degrees in tough subjects like organic chemistry – areas o study that will prepare them to make a good living in a fast-growing field. Some of these deal help to prepare students to enter the legal recreational cannabis market in states like California, while others are more geared toward a medicinal marijuana track and still others are designed to ready students for trade in the hemp industry. Students are learning to cultivate, research, analyze, process and market marijuana – a move that in the end is going to create a more refined crop of cannabis entrepreneurs – from pharmaceutical researchers to quality assurance lab directors to marketing specialists and edible product developers. It’s estimated by Arcview Market Research that the industry is poised to support nearly 470,000 cannabis professionals by 2022. Los Angeles marijuana lawyers see something of a wild card in the in states where the drug still remains illegal, or still illegal at least for recreational purposes. 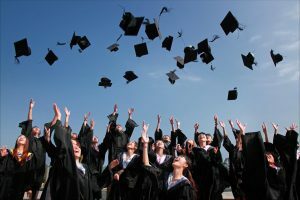 In the case of many states in the latter category (namely Connecticut, New Jersey and New York), schools are still offering these types of courses in anticipation that legalization is going to happen. It’s not a matter of if, but when. Agricultural schools are launching horticulture programs, business schools are launching dispensary management curriculum, nutritional and medical fields too are increasingly widening to allow room for this new field. Every state that opens its doors to marijuana widens the field of opportunity for new professionals. Our cannabis attorneys expect this is a field that will continue to expand for years to come.